Tram 37 stands at the Bedworth (pronounced "Bed'th") terminus circa 1913. 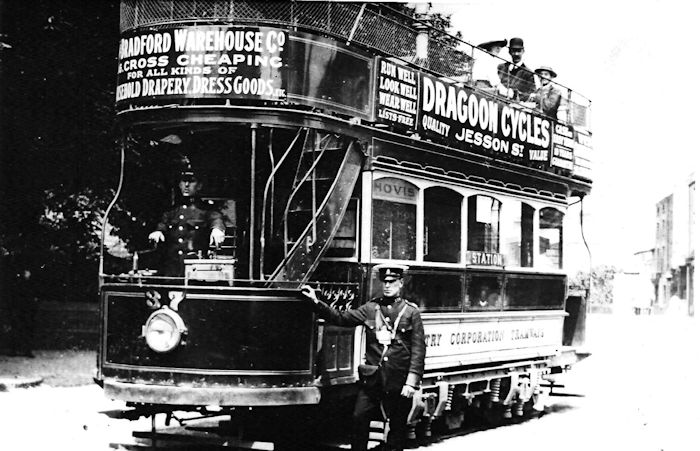 It is one of five tramcars originally built for Norwich and transferred to Coventry. Both Norwich Electric Tramways Company and Coventry Electric Tramways Company were subsidiaries of the New General Traction Company. The date of the transfer from Norwich to Coventry is variously reported as 1907 and 1910.